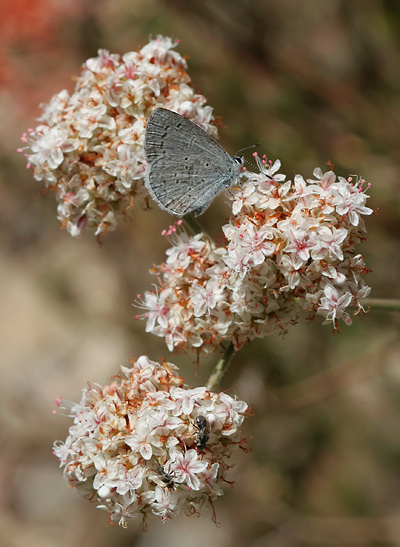 Spring Azure (Celastrina ladon) butterflies are fairly common here in Tucson, Arizona, and they seem to be especially fond of these Eastern Mojave buckwheat (Eriogonum fasciculatum) flowers. 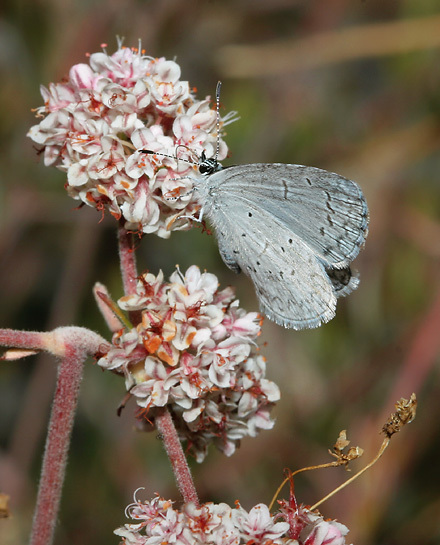 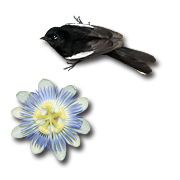 Spring Azures have pale gray ventral wing surfaces, with a short, horizontal line in the middle of both the ventral forewing and hindwing, and a row of five, dark gray dashes on the ventral forewing, with the dash nearest the leading edge of the wing being noticeably lower than the rest. 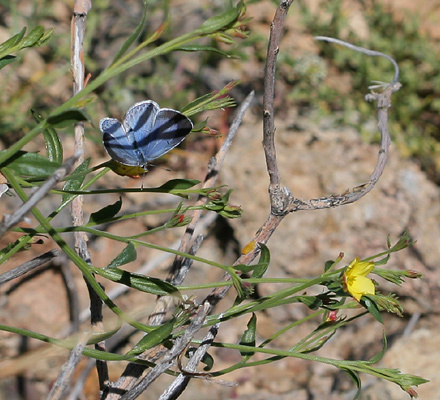 Both male and female Spring Azures have blue dorsal wing surfaces, but females, like the one below, have broad, black borders on the forewings and a faint row of dark spots on the bottom edge of the hindwings.